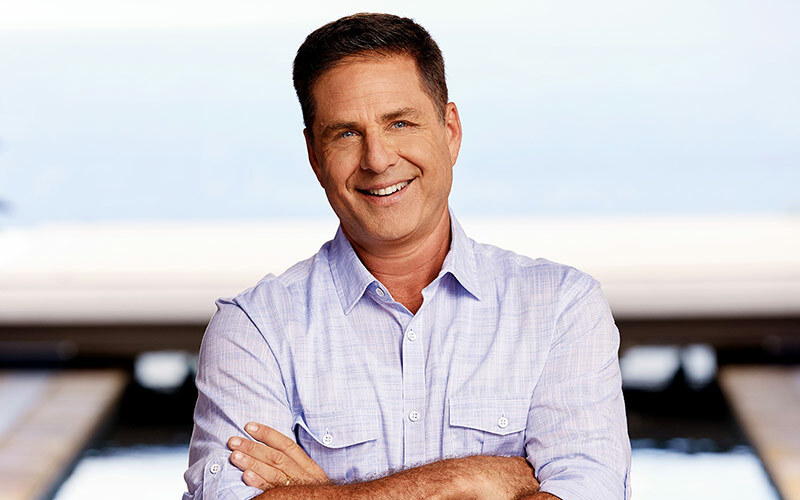 “Here’s to you finding the answers you’re seeking to the questions you’re asking,” host Mark L. Walberg says at the beginning of Temptation Island season four. He’s talking to the four couples who’ve decided to spend a month apart in Hawaii, living not with their partners, but with a group of single people they’ll date instead. They were between the ages of 7 and 17 when the first show aired, because it’s been 18 years since the original shocked viewers, both with its premise and with what came to light later. Walberg is back to guide them through the experience, and ask them questions as they search for their own answers. I talked to Walberg about its impact, what happens behind the scenes, and how this new season (USA Network, Tuesdays at 10) plays out. The first season premiered on Jan. 10, 2001. While it was an immediate hit, the follow-ups were not: season two aired the following October, and then two years later, a third season aired on the Fox Reality Channel. “We did three seasons, but it was such a bizarre situation where we didn’t do them back to back, like you normally do,” Walberg told me. Did Walberg’s approach change from season to season, especially with those gaps? “As the host on any show, you have to realize that the next season and the next cast is not the same as the first cast, so you can’t just show up and expect it to go like it did the time before,” he said. But that changed as reality TV became more prevalent. “Then when we got into season two, we had a cast that was kind of hip to reality and they were kind of manipulating the thing, and it became much more of a dance of trying to skate around it,” Walberg said. “The third one was what it was. The cast was fine and the show was fine. It lost a little something over the break between two and three,” he said. For the reboot as well as for the original, his approach is the same. What’s being sold is a format the cast wasn’t truly familiar with. During production of Temptation Island season four, Walberg was on set for 33 days, and he estimated the couples were apart from each other for about four weeks. That’s very different than season one, which was filmed over about two weeks, in an era when technology was less accessible. All reality TV is produced, of course, and Walberg said the cast plays a key role in the process of turning real life into entertainment. Walberg said that if a dating couple pretended to have issues in order to get a vacation on Maui—something he doesn’t think actually happened—it’d be impossible to avoid the conceit of the show. “Even if a couple comes on, having dated for a while, saying, Look, let’s do this. We’ll get a couple week’s vacation, we’ll pretend to have drama, and then we’ll come home and be together, I keep saying to them, I know that’s what you think you may be doing, or maybe that’s what you’re thinking you’re going to do, but it’s not going to go down like that. This becomes very real, very emotional, very quickly, and my job is to bring it back to that,” he said. The production learned that lesson early on, back in 2000. There’s a surprising amount of drama in the first episode of Temptation Island, but the real drama that comes from the format arrived at the end of episode two, when Mark sits down at separate bonfires with the men and women. That’s when he shows each person brief clips of their partners interacting with the single people, and that’s what either assuages their feelings or fuels jealousy. While Mark has an idea of what happens every day—“I get a hot sheet from producers, that all the producers get, which is basically: Where are we today, what happened last night,” he said—he does not know what he’s about to show to the couples. Mark admitted that “from a TV standpoint, it’s awesome train-wreck television to show clips,” but he also said that they really can be helpful to the kind of person who chooses to go on Temptation Island to test their relationship. “I really can actually justify all that craziness, because while it’s not a system I would use to evaluate a relationship, you definitely know how you feel when you see your girlfriend in the arms of another guy, even if it’s not what it appears to be,” he said. “The clips are not about what they’re doing as a factual reference—it’s not about [the person’s boyfriend or girlfriend] and what they’re doing,” he added. Instead, it’s about how the person responds to what they’re seeing. 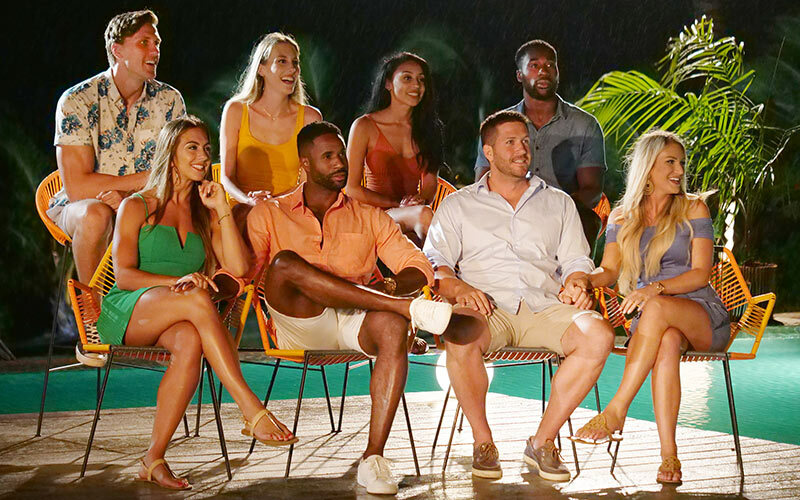 As production on Temptation Island began last year, Walberg had initial impressions about the couples that quickly turned out to be inaccurate. While he won’t divulge what he was wrong about (“I can’t tell you how because it’ll give you too much information”), he did say that Temptation Island will eventually deliver all of its possible outcomes.